Calculated Risk thinks big picture and it starts with making sure our team members come first so they can develop to their full potential. Without good team members, no company can ever reach its full potential. How do you define/describe the Calculated Risk brand? Calculated Risk is a brand that focuses on long term and that means not only taking care of customers but also the team members, our relationships with our vendors and the approach we take toward business to ensure success. To what do you contribute Calculated Risk’s success? We are a diverse group of operators who keep an open mind, use forward thinking and don’t lose sight of the big picture. What do you like most about working for Calculated Risk? To know that we’re in the business for the right reasons by looking out for our team members and the overall health of the industry. The Pacific Coast Highway was without a doubt the most beautiful and fascinating ride I’ve ever done! How did you get into the motorcycle business? 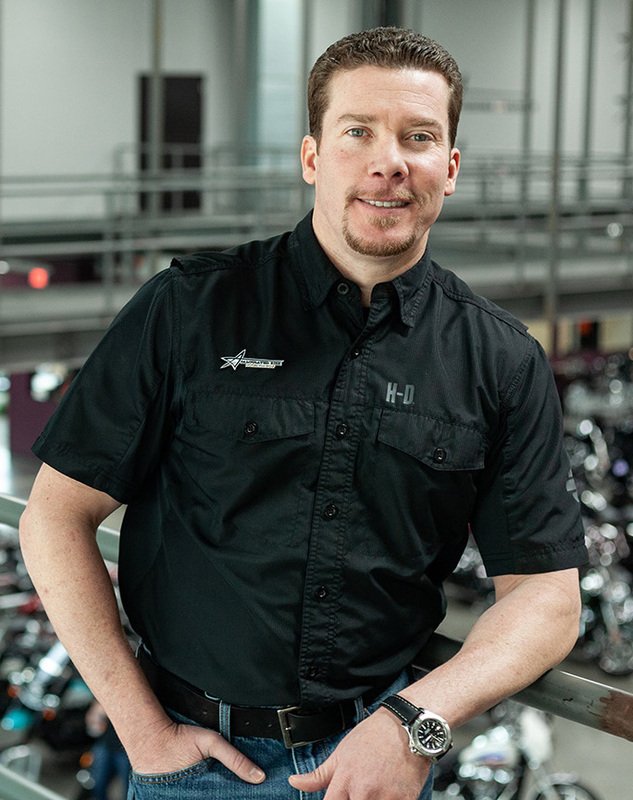 I walked into a motorcycle dealership in Austin for a battery and, as I realized how much fun everyone was having, I knew it was the business for me. I dove right in and the rest is history. Professionalism and how Calculated Risk treats its team members is what sets us apart. Adam and his team care for every one of our team members and promote the success of everyone in every store with training and mentorship. They position people to be the best they can be regardless of their role within the company. Doing things the right way. Adam and Neil are above board and completely honest in every transaction, and work to build a good, solid relationship with everyone they work with. And they plan for long term success. I love what I do, and I enjoy all of the people I come in contact with within the organization, team members from the top down as well as customers. I feel fortunate to be surrounded by quality people every day at work. Who wouldn’t enjoy working in that situation? I’ve never worked anywhere that I like or appreciate as much as this. What was your first Harley-Davidson? A 1962 XLCH Sportster that I bought used in 1974. What is your favorite Harley-Davidson and why? I’ve owned just about every Harley-Davidson there is since 1974. My favorite right now is the Low Rider S.